Beautiful sounds and multiple hues of blue are prevalent in the coniferous branches along the path that circles Stow Lake in Golden Gate Park. The sounds and color are provided by the Steller’s Jays, year-round residents in the west from South Alaska to Central America. 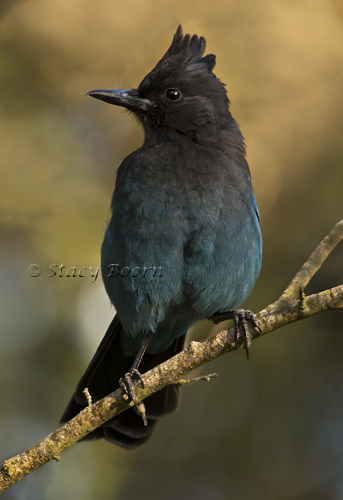 The Steller’s Jays are the only jays that have a crest, giving them a regal portrait. Locally, they love to spar with the squirrels for the peanuts that are thrown their way. They become quite accustomed to campsites and human providers. And, as is not the case for most birds, they are likely to fare well into the next century. Specific groups of birds are at high risk from climate change: migratory, mountain, island, wetland, Arctic, Antarctic and seabirds. Scientific reports reveal that bird populations are declining. Those that thrive only in a narrow environmental range are expected to decline and be outnumbered by invasive species. This week The National Audubon Society has a big new report documenting how global warming threatens the habitats of 588 different bird species across North America. The report finds that 314 species are likely to lose more than half their current range by 2080. “What could be missing along with those birds and their ecological niches are their very presence and songs — crucial components of our daily lives and the cultural fabric of our communities,” said Gary Langham, chief Audubon scientist. Let’s all be for the birds and educate ourselves to the real threats of climate change. We need to pursue the multiple ways that we as individuals and as part of the greater human community can alter this course of destruction. Hundreds of thousands of concerned citizens will gather for the People’s Climate March in New York City on Sunday, September 21 (the eve of the autumnal equinox). They will take to the streets as world leaders arrive for the UN Climate Summit. This will be a historic moment for The People’s Climate March as it aims to be the largest rally for climate action in the world. There are several local marches planned and you may want to join one. 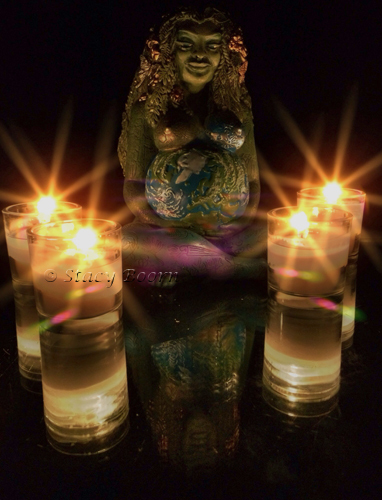 Remembering our Mother-Earth, it is time for taking decisive action to protect future generations. You can make a difference: click here to show your support for strong limits on carbon pollution. 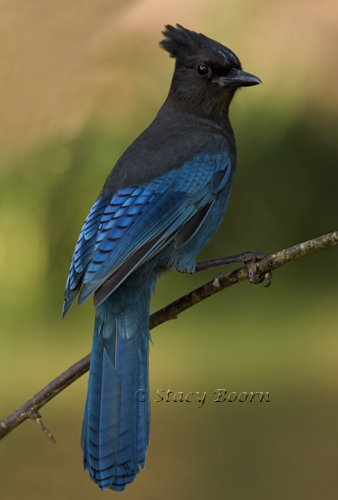 This entry was posted in Weekly 2 and tagged Bird populations, birds, Climate Change, declining bird populations, People's Climate March, Stacy Boorn, Steller Jay. Bookmark the permalink.